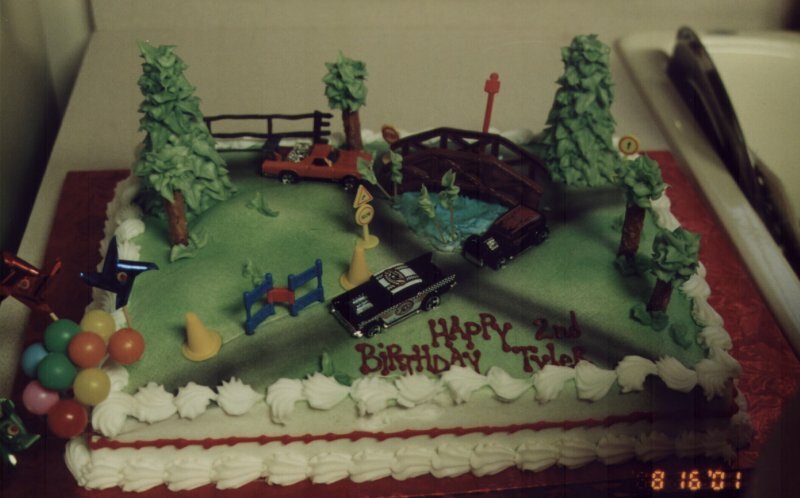 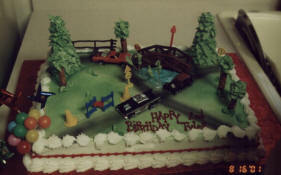 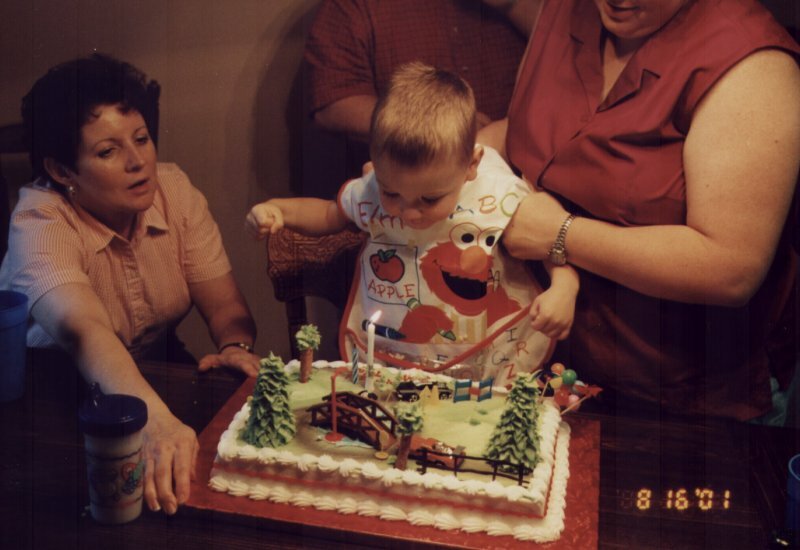 Tyler's birthday cake. Tyler blowing out his candle. 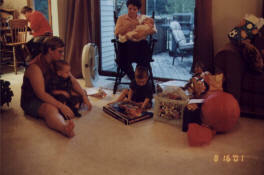 Tyler working on his presents.